While the road ahead of us may be clouded with questions and concerns, we can look back and see the many ways God has acted in our behalf to get us to the places we need to be. But more than just us, we see his work through history and we can take assurance that his promises are true and his victory in us is assured. Almighty God, I believe that before there was a world, you existed. I trust that even now you sustain our world with your word of grace. I am confident that before the future arrives you are already there preparing it for us. 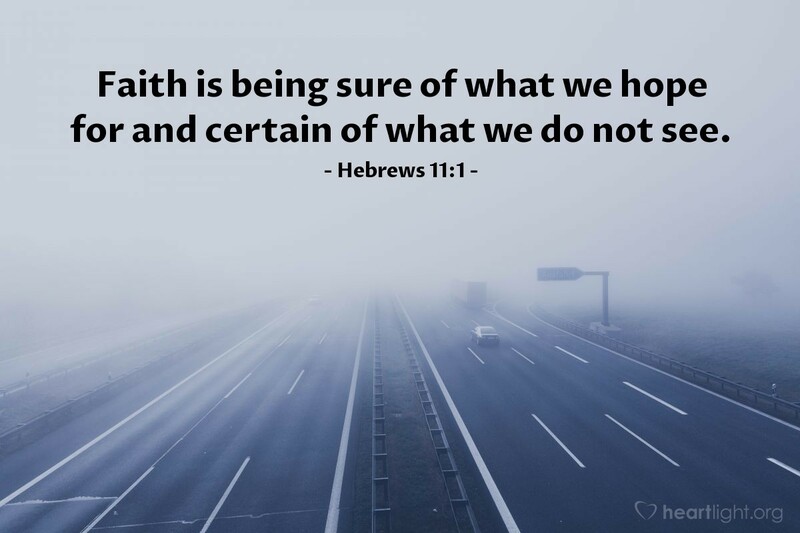 Help me in those moments when I am not so confident to remember my faith today and to press on trusting that you are there waiting with your grace. In Jesus' name I pray. Amen.